I love March! 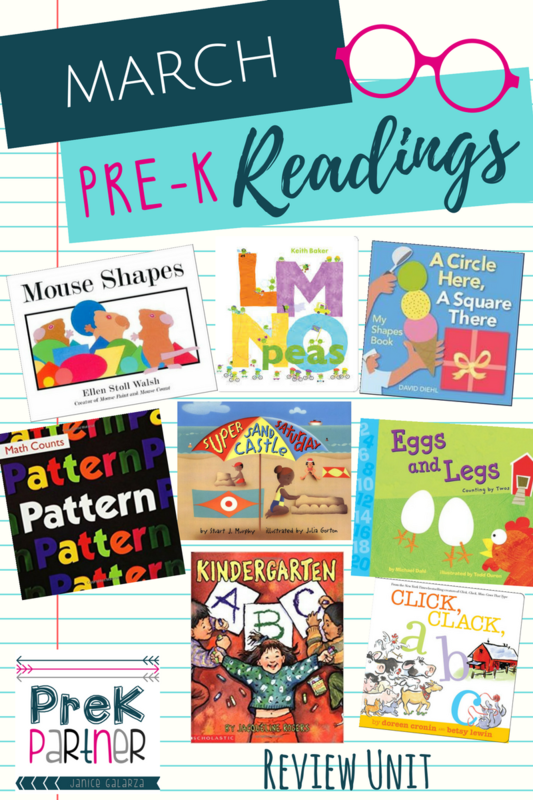 During March I celebrate this little blog's blogiversary, my birthday, Reading Across America week, and Spring break!!! We only have two weeks of school during March....what else can I ask for?! During this month we start collecting evidence of learning for our post assessments. I love how easy Learning Genie makes it for me and most of the teachers in my school district. 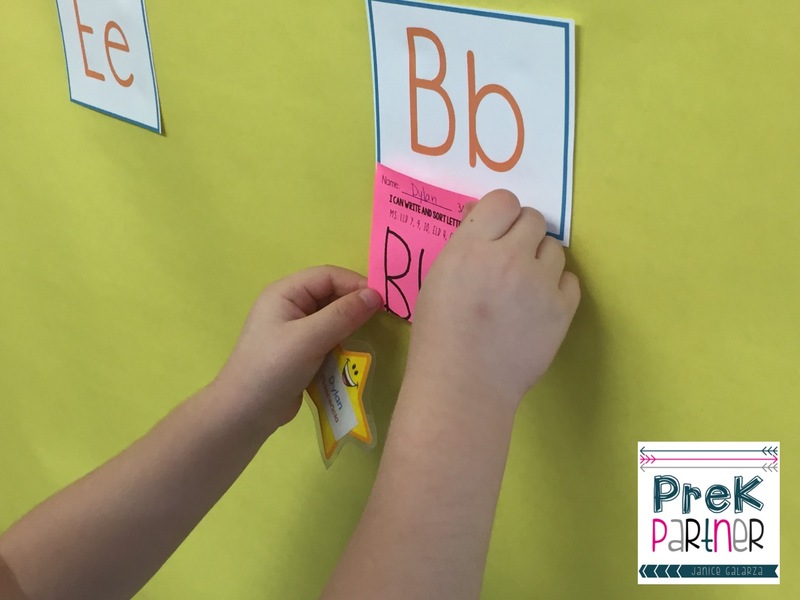 So, during March we focused on reviewing skills we've been teaching throughout the year such as letter discrimination, recognition, and sounds. In the area of math we focused on number sense and number identification, counting, shapes, patterns, measuring, sorting, etc. During this month, we will be mostly assessing students on Language and Literacy Development and Cognition and Math/Science Development areas. 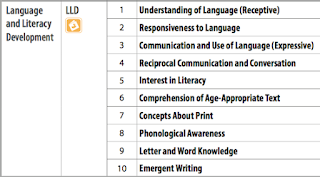 Using Learning Genie to collect students’ data and rate their developmental level on these specific areas saves me hours and hours of work. Time I use to create new centers for my students and individualized my activities and lessons. One of my favorite activities during March was our Alphabet Sticky Wall. My students and I loved it. 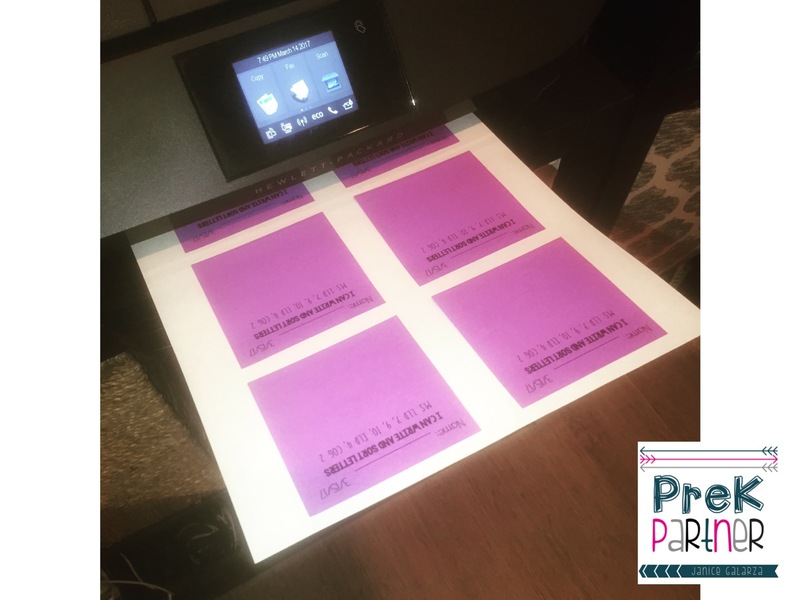 The first thing I did was to create a simple template to print sticky notes on. I measured the squares to be 3 by 3 inches. Printed on regular paper, then pasted the sticky notes on the squares and printed them again. 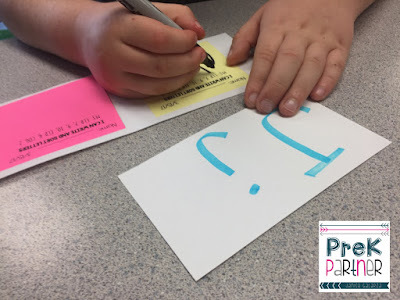 The students chose several letters to write, I encouraged them to select a letter that have difficulty writing. 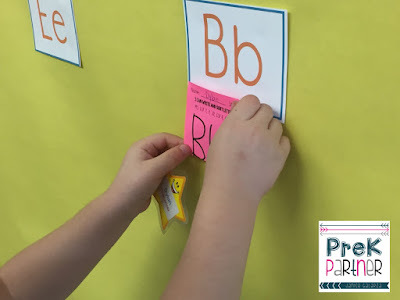 Once they were done, the looked on the sticky wall for the letter they wrote and pasted it. And this is the final product! 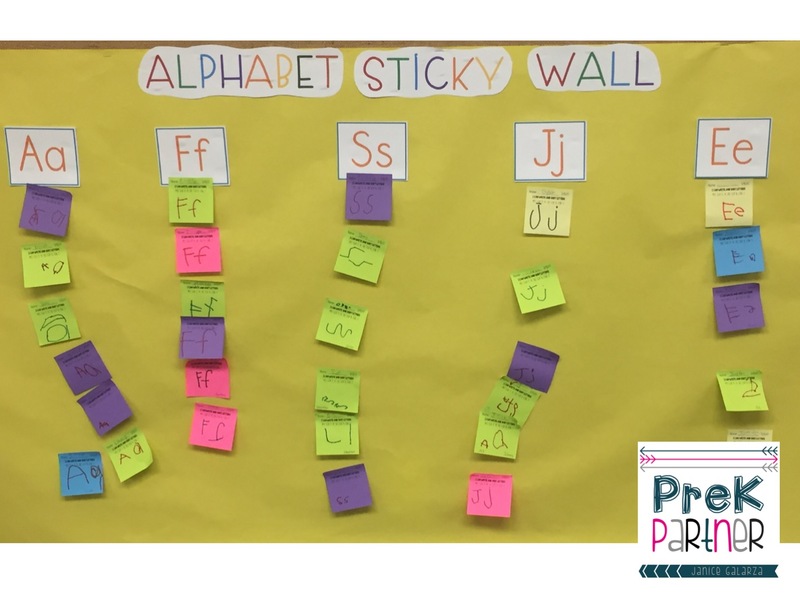 I loved how our Alphabet Sticky Wall turned out. Days later I scrambled the letters up and they sorted them once more. This activity was very interactive and I was able to assess my students in several areas. 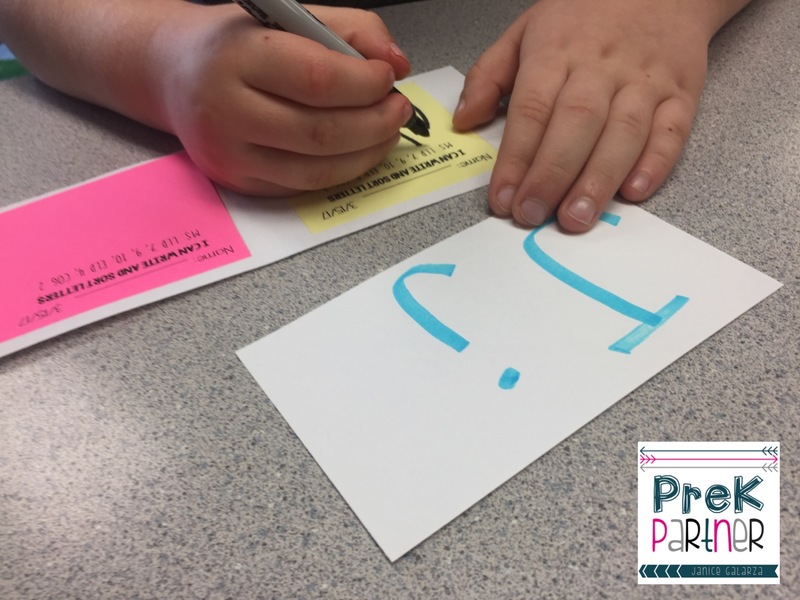 10 Math Centers with Mini Erasers & GIVEAWAY!